What's the easiest way to compare kitchen prices? What’s the easiest way to compare kitchen prices? If we’re looking for a new kitchen, how is it possible to sort through the bewildering array of kitchen prices? The website kitchen-compare.com allows you to compare kitchen prices from most of the major chains. It covers chains stores like Wickes, Homebase, B&Q and Wren. However, there are several drawer backs with Kitchen-Compare. Firstly It only covers some of the market. So, It doesn’t include trade suppliers like Howdens or Benchmarx nor does it include independent kitchen showrooms. Secondly, it only covers the bottom end of the market. Therefore, if you’re looking for a decent quality kitchen that’s built to last, it will probably be of little use to you. You can also get a new kitchen through a local builder, who’ll use trade suppliers like Howdens and Benchmarx. If you get quotes for kitchen prices from several builders, you can compare them with the results from Kitchen-Compare. However, there are also drawer backs with this route. Firstly the prices you’ll be quoted will depend largely on the builder’s mark-up, which varies enormously. This means you won’t really know what you’re comparing. Also, like the chains, It only covers the bottom end of the market. Therefore, again, if you’re looking for a good quality kitchen that’s built to last, it will probably be of little use to you. If you want to compare the prices of the middle market with the bottom end of the market, you’ll need to also get prices from independent kitchen showrooms. Independent showrooms mainly cater for the middle market. The middle market demands higher quality kitchens than the what the bottom end of the market can offer. The bottom end of the market is primarily catered for by the chains & trade suppliers like Howdens & Wren. However, once again there are several drawer backs to this route. Firstly, their are literally hundreds of independent kitchen showrooms most of which sell different kitchen brands that vary massively in price & quality. Secondly, kitchen showrooms all work to different profit margins, therefore, it’s not quiet as straight forward as identifying which are the cheapest brands. To get a proper idea, you’d have to visit literally hundreds of independent kitchen showrooms which would be a ridiculously long process that would probably take many years, as getting a quote from each is quite a lengthy process. I spent many years working for one of the big national kitchen distributors who supplied independent kitchen showrooms all over the country. This means I know which brands most of the independent kitchen showrooms sell, how the quality of those brands compare with each other & which showrooms work on high margins & which work on low margins. All of this means that I can recommend an independent showroom who’ll offer you a kitchen that competes on price with places like Wickes, Howdens & Wren, but is much higher quality & will last longer. Plus, because most independent showrooms charge much less than the chains for fitting & similar to what builders charge, you can afford to have your kitchen fitted properly by expert kitchen fitters rather than builders. Our FREE service finds you the best value kitchens. We’ll recommend local showrooms who are much better value than places like Howdens, Wickes & Wren. We’ll recommend local showrooms whose luxury German kitchens cost similar to places like Howdens, Wickes & Wren. We’ll recommend local showrooms who sell luxury kitchens without the luxury price tag. 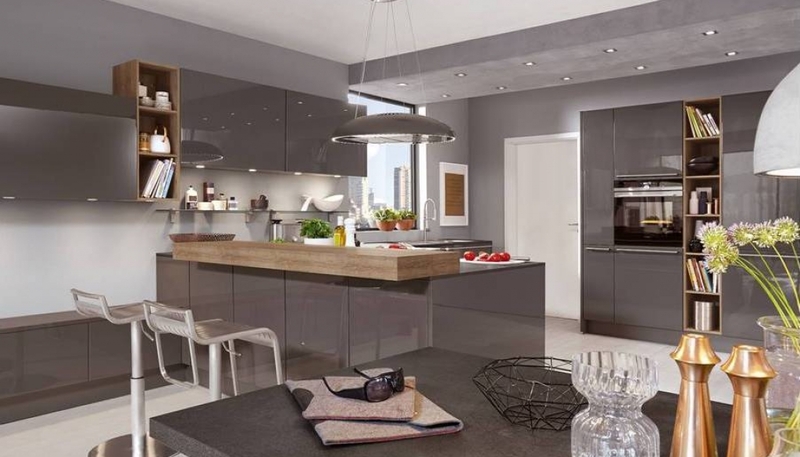 How do Bauformat Kitchens compare in price and quality to other German kitchen brands? Why will these units last much longer than places like Howdens, Benchmarx, Wickes & Wren? How do Hacker Kitchens compare in price and quality to other German kitchen brands?